Complete labeled illustrations of over 1,400 anatomical identifications. Illustrations by award-winning medical illustrator Vincent Perez. Advanced guide specially designed for students who are already familiar with Accounting 1. A bank for the "language of money" you need to know. Our author, expert and professor targeted the most important vocabulary for this critical subject in 6 laminated pages covering over 300 terms. Easy to access at a moment's notice for reviewing core concepts before exams, as a professional resource, or for general knowledge of an area that affects business as well as personal lives every day. A useful, comprehensive source of information for students, travelers and those conducting business overseas, this 3-panel (6-page) guide showcases common Arabic vocabulary words/phrases and their English translations. The study of life, in all it's glory; animals and plants we see around us, the tiny organisms we can't see that affect us every day, and even the molecules which make up life. Learning biology, we ask questions about nature. Lab experiments are HOW we ask the questions. This guide shows how we ask questions in biology- what are the tools, terms, and major approaches scientists use to learn about the living world. It includes some of the major ideas biologists study, as well as descriptions of techniques and instruments used. This guide is intended for a high school or early college student, or anyone interested in understanding how biologists make the discoveries reported in the news daily. Comprehensive guide on basic formulas & definitions for an introductory course in business mathematics. The new QuickStudy booklets cover the key information on some of the toughest courses today, helping students boost their grades. The books are presented in the clear, concise format readers have come to expect from QuickStudy. The basic principles of Biology, including full-color illustrations and diagrams. Reference for all Biology students, from high school to college. Functions, limits and derivatives for first-year calculus students. 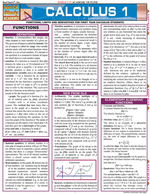 BarCharts’ best-selling quick reference to chemistry has been updated and expanded in this new edition. With updated content and an additional panel of information, this popular guide is not only an essential companion for students in introductory chemistry courses but also a must-have refresher for students in higher-level courses. Author Mark D. Jackson, PhD, a scientist and university chemistry professor, has a gift for making the complicated subject of chemistry interesting and easy to understand—without the fluff. In this new edition, you will find more coverage of the subject, helpful illustrations, chemical problems, and practical applications, making this a study tool you won’t want to be without. The QuickStudy Books line covers the key information on some of the toughest courses today, helping students boost their grades. The books are presented in the clear, concise format readers have come to expect from QuickStudy. 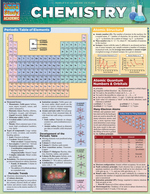 Chemistry essentials for all students, including laboratory basics. Easy-to-use reference for concepts designed specifically to aid science students. Easy English Step-by-Step for ESL Learners is based on the idea that the quickest route to learning this subject is building a solid foundation in the basics. You won't find a lot of pointless discussion; instead, you get an original, step-by-step approach to mastering English, with important concepts linked together by clear explanations, appropriate exercises, and helpful answers. Cursive Writing! exercises young ESL students in the primary skill of cursive handwriting. Simple, step-by-step lessons lead students from easy ABC practice to writing longer passages. While building students' dexterity and recognition skills, Cursive Writing! also introduces students to the pleasure of expressive handwriting. Everything you need to know about nursing.